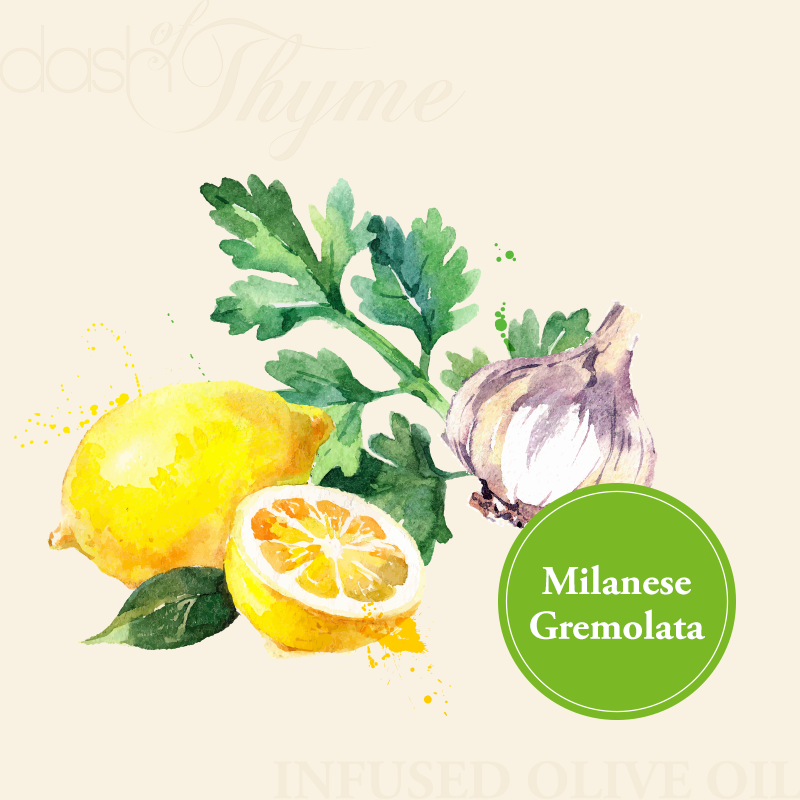 Gremolata is a traditional Italian herb condiment consisting of fresh lemon zest, minced garlic, Italian flat leaf parsley and a hint of mint. The herbs and citrus zest are typically crushed together in a mortar to release their pungent essential oils. Makes a great finish on seafood. Also traditionally served with osso buco and other slow braised dishes to add flavor. Also recommended for marinating poultry, flavoring asparagus and in dressings. Pairs very well with our Sicilian Lemon White Balsamic Vinegar, Jalapeño White Balsamic Vinegar, Oregano White Balsamic Vinegar, Grapefruit White Balsamic Vinegar, or Traditional Style Dark Balsamic Vinegar.